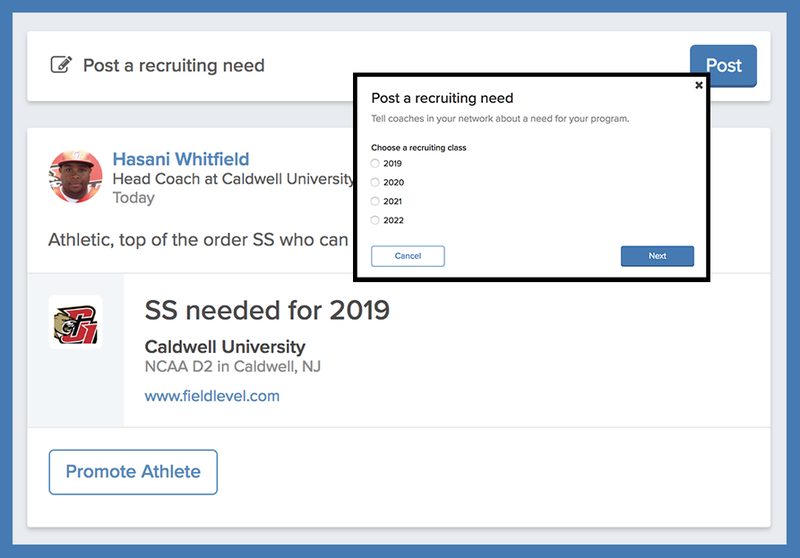 College coaches can post their recruiting needs to their coach connections to discover athletes who meet specific recruiting criteria. Coaches can post their needs from the top of their Feed. 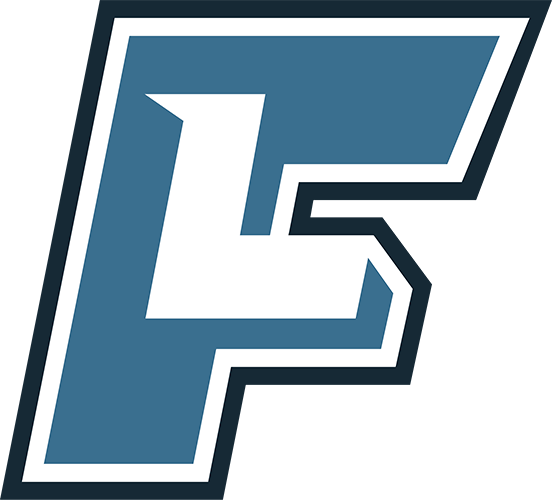 When posting needs, coaches can indicate the class, position, and states/regions for the athlete(s) they are looking for. They can also write custom messages to describe what they are looking for in more detail. The messages can list academic standards, scholarship opportunities, and more. When a recruiting need is posted, coaches will see the post in their Feeds and will receive email notifications. They can reply by promoting any athlete(s) who meet those needs. When college coaches post their recruiting needs, they will receive an email confirmation as well as a link that takes them directly to that particular posted need. 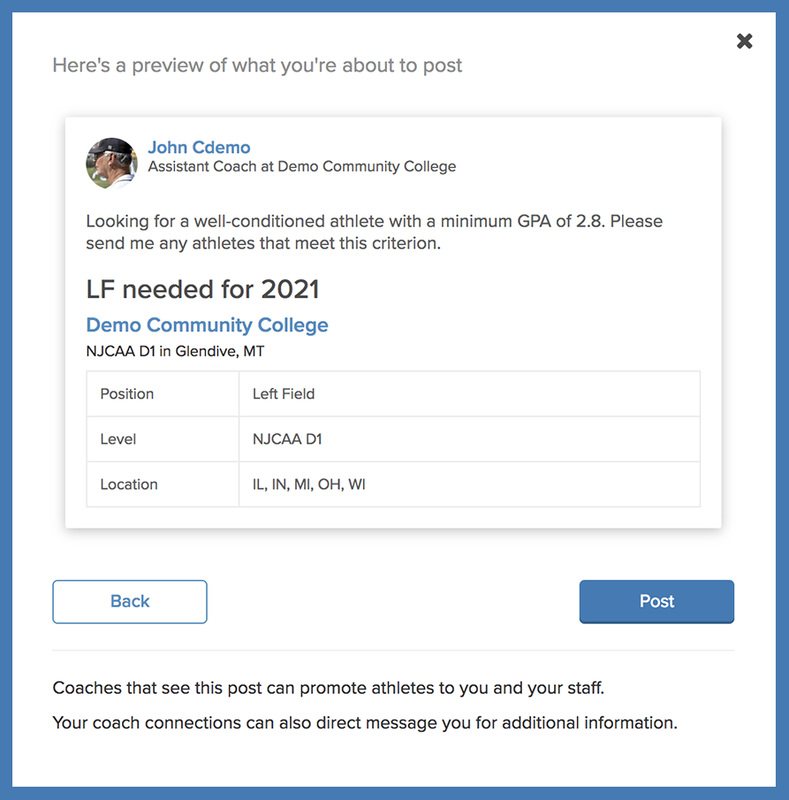 As college coaches receive athlete recommendations from coaches in their Promotion Inbox, they will see colored icons next to the athletes who fill their posted needs. College coaches can also filter their Promotion Inbox by athletes who fill their posted recruiting needs. Posts can be deleted at anytime.